Those in Heaven are not allowed to worship angels or men – Rev. 19:10 “And I fell at his feet to worship him. And he said unto me, See thou do it not: I am thy fellowservant, and of thy brethren that have the testimony of Jesus: worship God: for the testimony of Jesus is the spirit of prophecy.” Compare Rev. 22:8-9 “And I John saw these things, and heard them. And when I had heard and seen, I fell down to worship before the feet of the angel which shewed me these things. Then saith he unto me, See thou do it not: for I am thy fellowservant, and of thy brethren the prophets, and of them which keep the sayings of this book: worship God.” They are allowed to worship only God. Christ is described as Faithful and True, The Word of God, THE KING OF KINGS AND LORD OF LORDS. He judges and makes war with those on earth. His eyes are as a flame of fire. On His head are many crowns. “Crown Him with many crowns…” the songwriter wrote, inspired by this text. Jesus will have a name that no one knows but Himself. There are some secret things in Heaven. 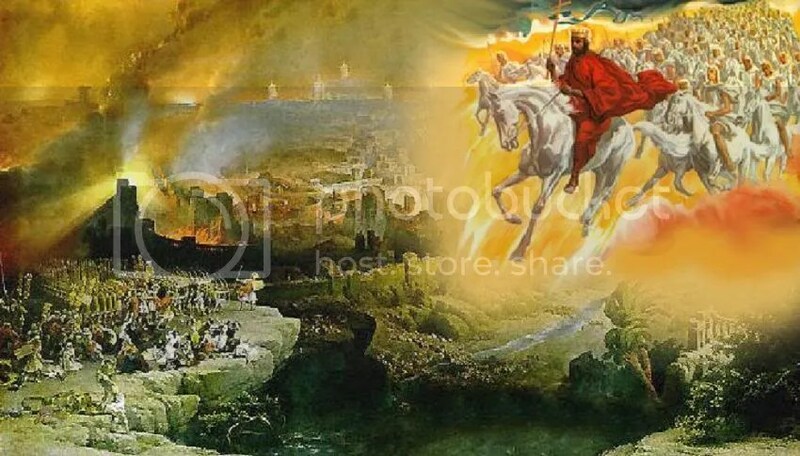 Jesus will leave Heaven with a sharp sword and an iron rod – Rev. 2:27 “And he shall rule them with a rod of iron; as the vessels of a potter shall they be broken to shivers: even as I received of my Father.” Rev. 12:5 “And she brought forth a man child, who was to rule all nations with a rod of iron: and her child was caught up unto God, and to his throne.” In the fierceness and wrath of God, Jesus will trample the enemies of God under his feet. Another angel comes down from Heaven having the key to the Bottomless Pit – Rev. 20:1-3 “And I saw an angel come down from heaven, having the key of the bottomless pit and a great chain in his hand. And he laid hold on the dragon, that old serpent, which is the Devil, and Satan, and bound him a thousand years, And cast him into the bottomless pit, and shut him up, and set a seal upon him, that he should deceive the nations no more, till the thousand years should be fulfilled: and after that he must be loosed a little season.” He lays hold on Satan, binds him with a great chain, and casts him into the Bottomless Pit. Satan stays there for 1,000 years. This seems to be the last sight that originates in the Third Heaven. 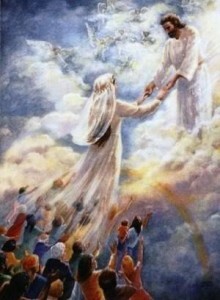 The Great White Throne Judgment will be such a sobering, horrific sight, that the earth and Heaven will flee away – Rev. 20:11. This phrase means “to seek safety by flight, to escape safely out of danger, to flee something abhorrent, to vanish.” This will probably be the end of the Third Heaven.